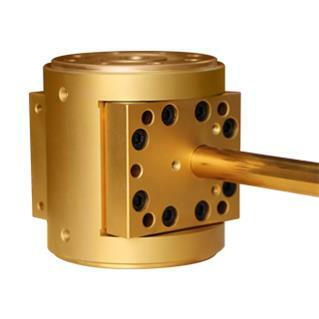 Melt gear pump is an essential equipment for polyester melt conveying and metering. Compared with other types of melt pump, gear pump has compact structure, reliable operation, low energy consumption, high volume efficiency, small shearing effect on melt, the flow is the most stable at high viscous and high pressure, and no fluctuation of outlet pressure. The unique advantages of the pump and its key role in the process make it play an irreplaceable role in the production of polyvinegar. 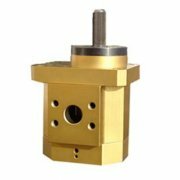 The following details introduce how to extend the service life of polyester melt gear pump effectively. 1. 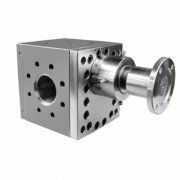 Because the pump body of polyester melt gear pump runs at high temperature, the hinge support should be installed on the piping during cold installation to prevent the piping displacement after heating up. 2. U-shaped coupling must be heat-aligned after the pump body is heated to avoid additional torque caused by thermal deformation during operation. 3. The outlet pressure measuring point of the melt gear pump should be interlocked to stop substituting, otherwise, once the discharge pipe is blocked, the pump body will be easily damaged. 4. When starting the pump of the melt pump, when no pressure is formed at the exit, the speed should not be increased blindly to prevent premature damage of the shaft or bearing. 5. 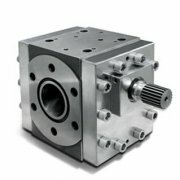 The temperature of the heat medium jacket of the pump body can be slightly lower than the heat medium temperature of the front and rear clamping sleeves. Because the viscosity of melt decreases with the shear rate, the shear of gear and bearing will increase the melt temperature by 3-5 degrees Celsius after passing through the pump. Reducing the temperature of heat medium can prevent the melt from degrading. The data show that the bearing capacity can be greatly increased by lowering the temperature of the bearing area. The output capacity of the gear pump can be increased by 50% only by increasing the speed without replacing the pump with large capacity.